Starting off my smoking day with Edgeworth Ready Rubbed in a 1984 medium bend black grain etched Savinelli Non Pareil 9310 poker with a horn ferrule. 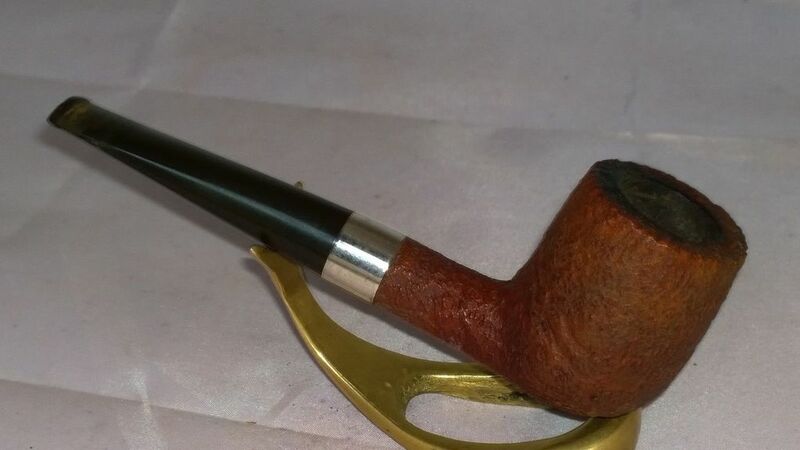 It's 12;51 CDT and having the last bowl of the sample of the BB1938/Baby's Bottom that Bro Shane sent me in my Danish Stanwell Sterling Billiard. A nice smooth as a baby's bottom English !! Former's Cross Grain Flake in my Savinelli Trevi 320. The most underated tobacco that I've ever had the pleasure to smoke. IMHO. A sweet Va. with just a touch of Perique and this pipe was made for such a blend. Folded and stuffed for delightful after lunch dessert. Almost finished smoking D&R Cockstrong in a medium bend straight grain 2000 Winslow C silver spigot with a black acrylic stem. Pelican in a black pebble finish straight 2003 Cavicchi C. Fatto A Mano lovat. Now smoking C&D Founding Fathers in a 2002 IMP smooth full bend egg shaped meer. Ice water chilled to the proper temperature with floaty li'l icebergs is my drink. Raining hard. 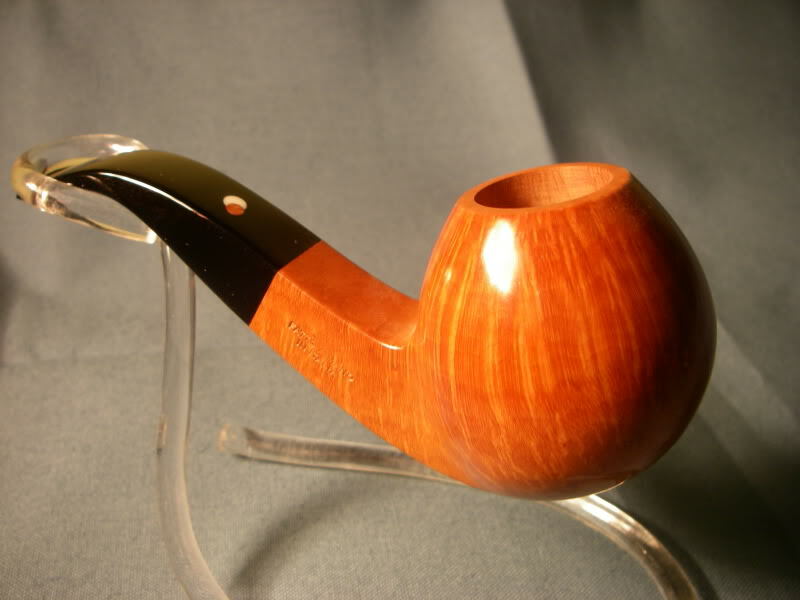 Dunhill BB in a Dunhill shell bent billiard. Mac Baren HH Vintage Syrian in an Ascorti NUS KS smooth bent Dublin. It's 20:23 CDT and I'm having some after diner Balkan, a bowl of some Arango Balkan Supreme in a Danish Stanwell Royal 184 Brandy. Just finished smoking Edgeworth Ready Rubbed Match in a 1978 smooth full bend Dr. Grabow Omega. 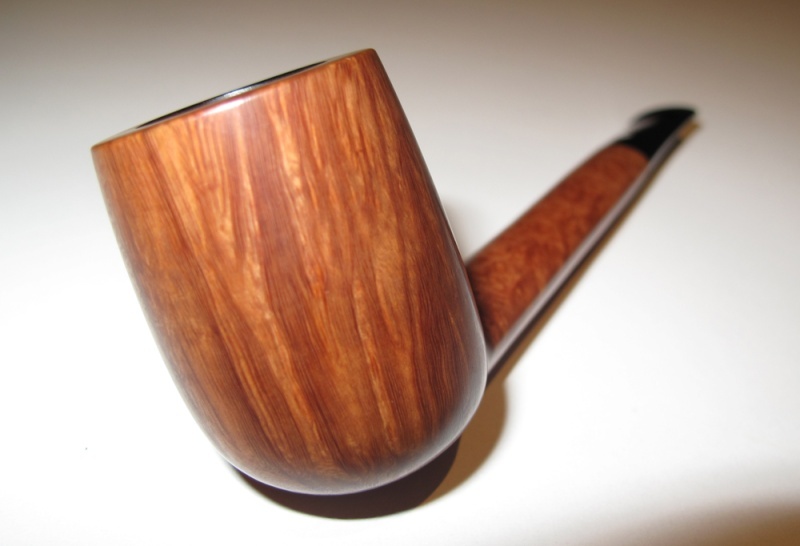 Next is Tilbury in a 1990s smooth briar calabash shaped Butz-Choquin Maitre Pipier JR Fait Main with a horn ferrule. Mac Baren Scottish Blend in a Thane rusticated bent Dublin. MacBaren Modern Virginia in a post WW2 Pre-Republic Peterson Dublin straight smooth X155 Bulldog with a sterling silver band. Just finished smoking Jim's Test VaPer in a 2014 smooth medium bend Basil Meadows egg with an aluminum band and a "root beer swirl" acrylic stem. Next is Viprati in a 1984 three quarter bend medium brown Ascorti KS Business Dublin. Half way through this bowl of Peterson’s Sherlock Holmes in my trusty 1970s smooth three quarter bend Peterson System Standard 305. 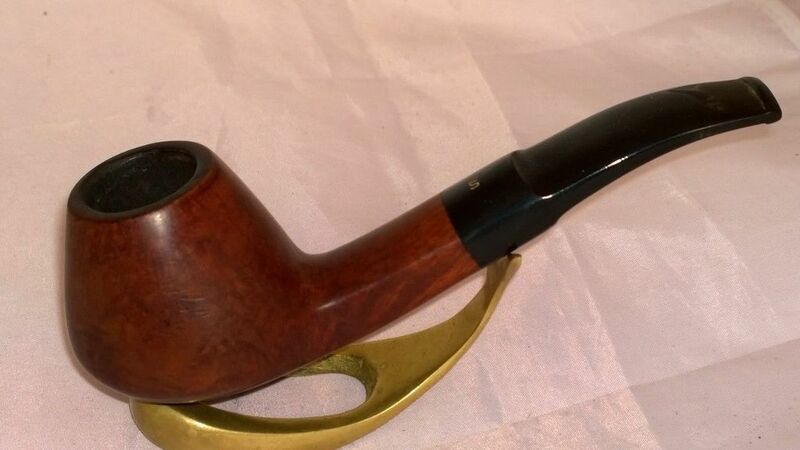 SWRA in a slight bend 1984 Stanwell Antique 124 grain etched with a smooth front. Have enough left for one more bowl. 5100 Red Cake in a Mastro De Paja Calabash. 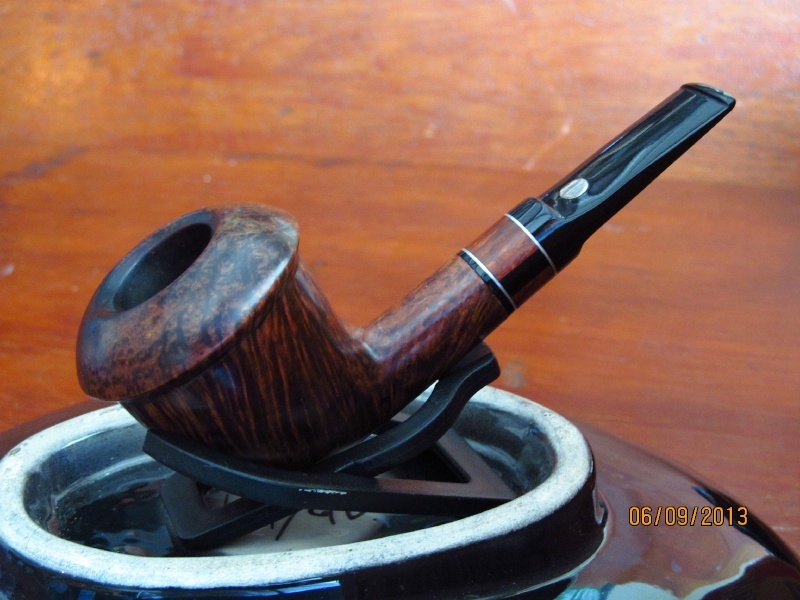 Dunhill Early Morning Pipe in a Dunhill Tanshell group 4 bent billiard.